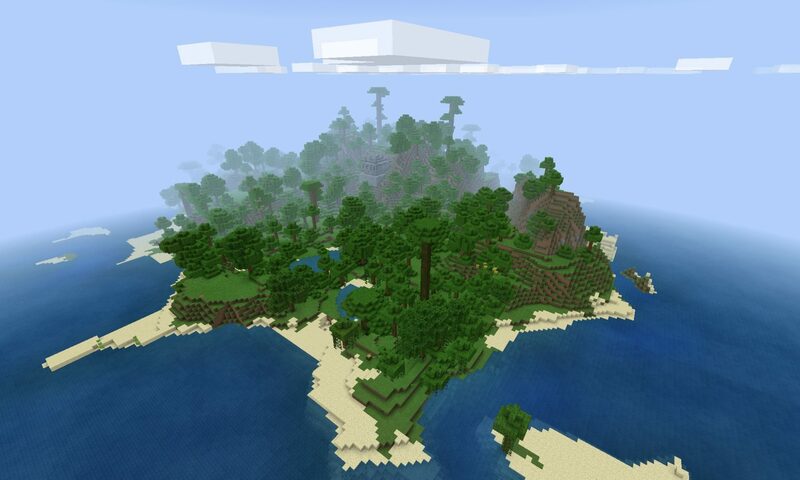 Check out this massive jungle island seed for Minecraft: Pocket Edition. We spawned on this island using the seed ‘agpiox’ (or -1419375928). The initial view was awesome. Positioned on a jungle beach overlooking the ocean, we were impressed by the cool coast which has many coves and beaches (turtles, too). When we started exploring the landscape we quickly realized that (as we had thought) this wasn’t just a coast. 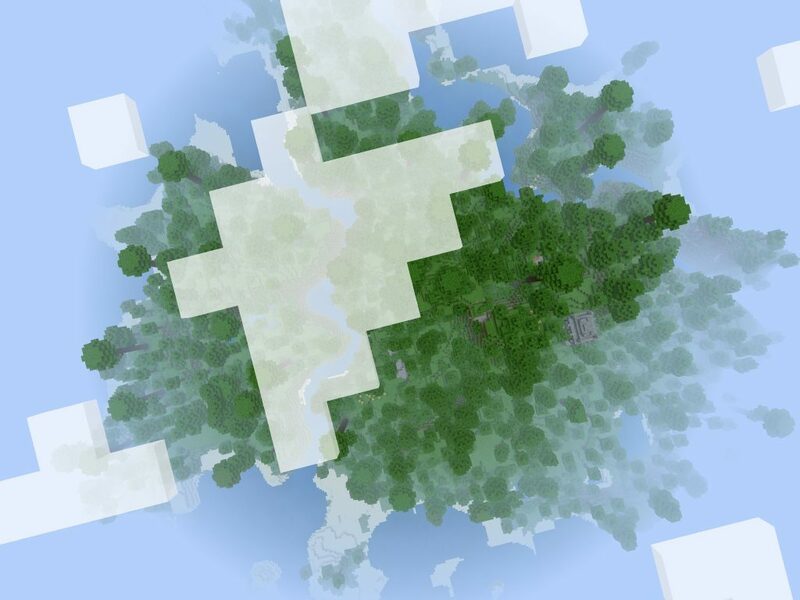 What this is is a huge jungle island. 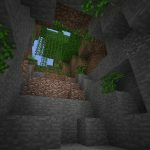 The middle section of the island is mountainous with one jungle tree in particular reaching up to the cloud block layer. Around the edges the coast is highly varied. One one side of the island there are a few small channel islands, too. 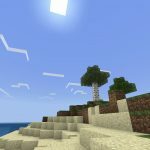 The furthest edge of the island (from spawn) has a single sandy beach with a lone jungle palm. 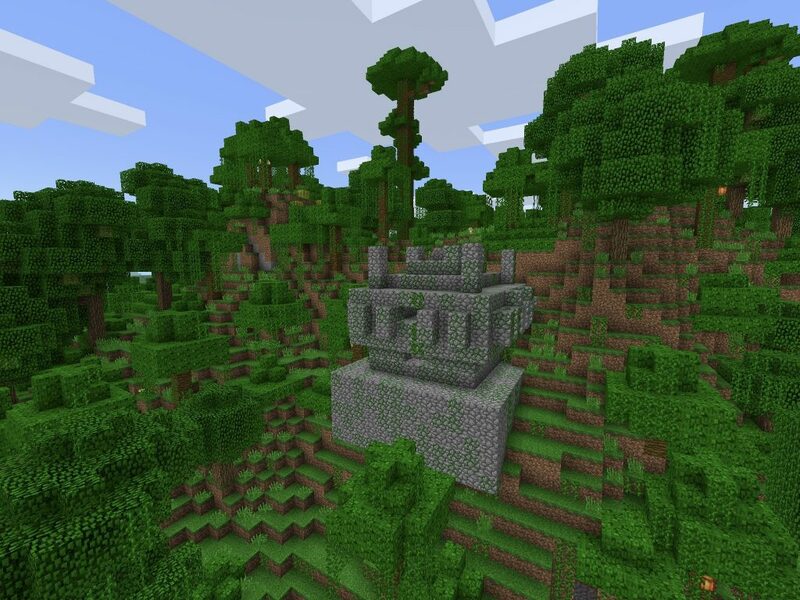 There’s also a temple on the far side of the island. It’s at the coordinates 2872,,168. 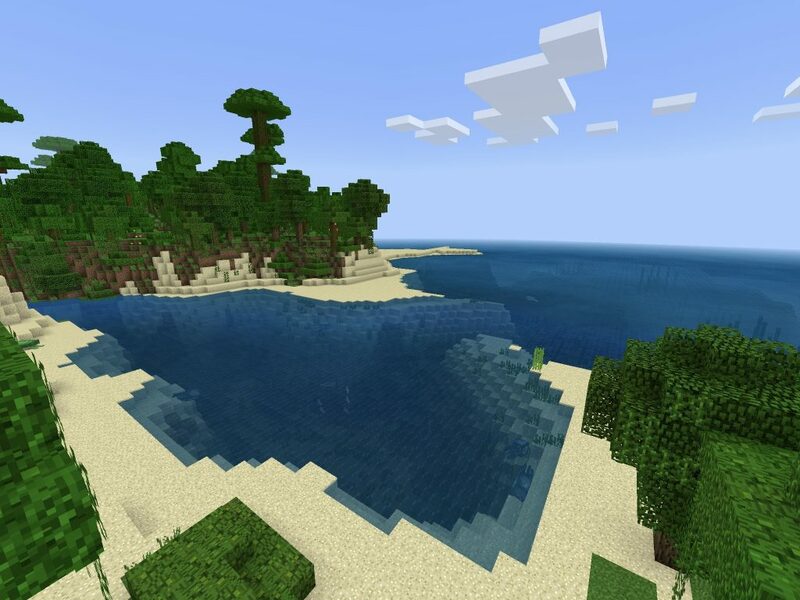 The view from this island seed’s spawn point. The massive jungle island as seen from above. 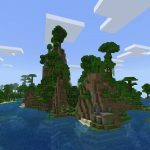 The jungle temple in this seed is on the far side of the island (2872,,168).